Java Champion - Oracle Groundbreaker Ambassador - Jug Leader - Auth0 Ambassador & JCP Associate Member. Java Professional with more than 17 years experience creating Java architectures for large scalable, high transaction load systems since J2EE 1.3 and receltly honored as Java Champion, Oracle Groundbreaker Ambassador and Auth0 Ambassador and co-author of the book 'Software Architecture with Spring 5.0'. Java Champion, JUG Leader, Oracle Groundbreaker Ambassador, Auth0Ambassador & JCP Member. Founder of the Java Users Group Ecuador and the Javaday Ecuador Conference. Speaker at world class conferences such as: OracleCodeOne, JavaOne, Oracle Code, Redhat Summit, Voxxed Days, Oracle Code Latam Tour, Oracle OTN LAD and locally ECUADOR Java Users Group. Learn best practices for the software development cycle. Aplicaciones Reactivas usando Spring Webflux sobre Oracle Cloud. Descubre este nuevo paradigma del desarrollo de aplicaciones Java. 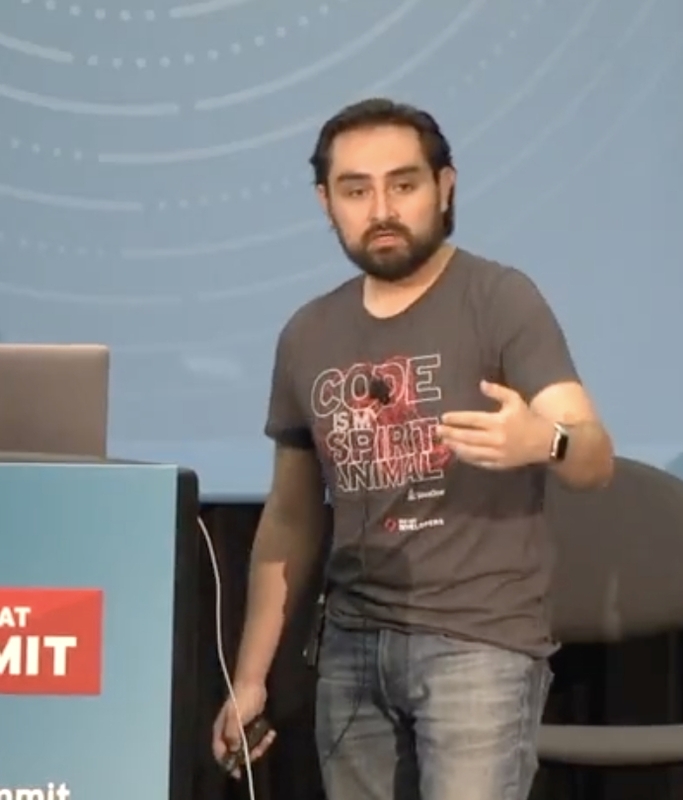 Si buscas experiencia en Desarrollo y en el uso de las nuevas tecnologías, estos speakers te esperan en el #OracleCode Bogota para mostrarte las últimas tendencias, keynotes, demos, labs, sesiones y experiencias en vivo. November 2017, I have been part of the Oracle Developer Tour Latam as speaker on Chile, Ecuador and Panama. August 2017, I have been part of the Oracle Technology Network Tour. June 2017, Mexico City, I have been part of the Oracle Code. May 2017, Red Hat Summit is the premier open source technology event to showcase the latest and greatest in cloud computing, platform, virtualization, middleware, storage, and systems management technologies. 2016; Founder and Leader of the Ecuador Java User Group. We run session every month and we join aroun 300 Java Developers to the community network. Ecuador Java User Group. We run session every month and we join aroun 300 Java Developers to the community network. 20 Years of Java, great celebration and networking. I participated as speaker at OTN Ecuador 2013. I participated as speaker at the JavaOne 2013 talking about Multichannel Architecture Based on Open Source.